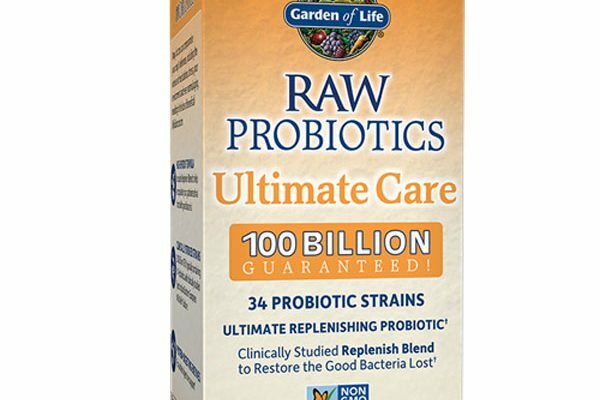 Topping the probiotic market numbers at 100 Billion CFU divided between 34 probiotic strains, Garden of Life’s Ultimate Care probiotic was definitely a contender for our Best Probiotic of 2018 spot. Adding to our excitement to test this product was the fact that it is free from absolutely all fillers, binders, and additives. At CHR, we like our supplements as natural as possible. And under the microscope, this product yielded high scores in nearly all categories, including sufficient CFU/strain and high viable culture count. RAW contains complete Bifidobacterium, Lactobacillus, and Streptococcus bacteria complexes as well as a few Saccharomyces yeasts. This is one of the most comprehensive lists of strains we have ever seen in a probiotic, and touts benefits for typical gastrointestinal issues (such as diarrhea, constipation, IBS) as well as promoting immune system response and restoring your body’s natural flora after a bout of antibiotics. 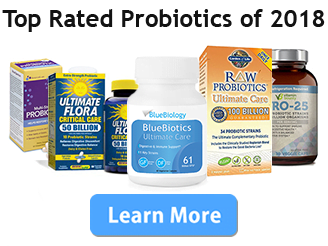 Although perhaps the most studied probiotic yeast, “Saccharomyces boulardii”, is not included this is nevertheless a comprehensive probiotic supplement. Free from preservatives and additives, RAW scored impressive marks across the board. Although this shortens the lifespan of the probiotics strains somewhat, buying in small quantities can easily solve this problem and – honestly – at CHR we always prefer purity to additives. The CFU and Strain counts are both top-of-the-class. Somewhat shortened storage life and lack of a couple key probiotic strains are two minor negative impacts on this products effectiveness. The major strike against GoL RAW is the lack of an enteric coating which heavily impacts the survivability of non-acidophilic probiotic strains (roughly a quarter of the strains in this probiotic).